If you need a laptop for work or leisure but you’re on a restricted budget, don't panic. There are plenty of models on the market that are affordable and still offer a whole range of features and functions. Whether you’re going to be using it for browsing the web or need a compact, budget laptop for travelling, our list of the best budget laptops will have you covered. The main thing to consider when purchasing a laptop within your budget is whether it is going to live up to your demands, because even though it might be cheap, if it can’t do what you need, then it’s useless. When it comes to budget laptops, typically the main features you are likely to sacrifice are storage space and graphic quality. If neither of these features are deal-breakers, then you are on the right track. In our top spot is the ASUS Chromebook C301SA, which is not only loved for its sleek design but also boasts 10 hours of battery life, weighs just 1.35kg and has full HD display. A great all-round budget buy. If you are looking for a budget laptop that's ideal for travel, you'll ideally want something lightweight (less than 1.5kg) and with a decent battery life (8 hours should do it). The Gemini TC10 10.1 inch 2 in 1 laptop is our top pick in the budget travel laptop category, weighing in at just 1.25kg and doubling up as a Tablet for when a laptop is overkill. Check out the best budget laptops below with the major features and specifications listed so you can choose what’s right for you. The ASUS Chromebook C301SA makes our top spot for the best budget laptop. It’s not bulky, it looks sleek and runs so smoothly too. Its full HD display means you can watch movies and look at pictures in the best quality, and it is designed with a battery life of up to 10 hours so it’s perfect for taking on the go. The ultra slim design also makes it much easier to carry around with you and with plenty of connectivity ports including USB and HDMI, you can connect all your external devices whenever you need to. It’s the perfect budget laptop for browsing the web as the Wi-Fi connectivity is fast and it has Windows 10 for hassle-free use. If you just use your laptop for everyday browsing and watching your favourite shows, then you can expect this HP to be reliable and efficient. It comes with Netflix pre-installed, and its dual-core Pentium processor delivers fast performance which will ensure great quality viewing and browsing wherever you are. This model also comes with a free month’s trial for Office 365, so if you’re a student looking to get a new laptop for your studies or work, this one will give you everything you need to get set up. If you’ve considered whether you should get a tablet instead of a laptop, you may find this 2-in-1 laptop gives you the best of both worlds. 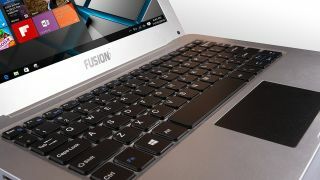 It’s small and lightweight and can be used via touchscreen like a laptop, but it also has a keyboard and can be used just like a normal laptop too. Battery life is still pretty good at up to 8 hours, and it uses the Windows 10 operating system, so you’ll still be able to navigate it like a regular laptop. For those who like to take their device with them wherever they go, this is a good option for its size. Whether it’s working from home or just daily browsing, the Acer Aspire is slightly larger, giving you a bigger screen for more viewing, and a connectivity which is fast and reliable. It also boasts fantastic features such as a VGA webcam, built-in microphone and HD audio sound system which will make taking business calls and skype sessions a whole lot easier. This laptop is also good for those who spend all day at their screens. You can adjust the settings on the BluelightShield software, which will reduce eye strain so you can work for longer. Whether you’re watching movies, working or browsing the web, this powerful laptop has got what it takes to provide reliable performance all day long. The high-res screen has anti-glare technology which means you ca use this laptop with ease both indoors and outdoors in any lighting with minimal eye strain. The HD display will deliver bright, crisp visuals and it is surprisingly light considering its size, but is robust so you can expect this laptop to stand the test of time. If you want something really affordable that can be taken with you wherever you go, this small 10 inch laptop is ideal. It’s smaller than the rest in size and memory, but its performance is still pretty decent. Its full HD display means you still have excellent quality viewing and browsing and the Intel quad core processor ensures it’s still running smoothly and efficiently, just like a larger laptop would. If you need more storage space, you have the peace of mind that this laptops memory is expandable with a micro SD card, so you can benefit from the portable size without compromising on storage space.